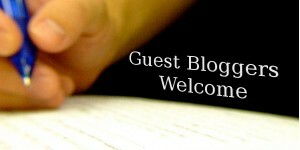 Here at Uniquepeopleblog we would like to invite all new writers and regular bloggers to write for our blog. We love to build contacts with similar minded poeple and share links. So, if you think you have what it takes to write for us, then we would love to hear from you! *Posts must be “AT LEAST!” 700+ words long, preferably more. We only want the best for our readers and posts shorter than this tend to be less helpful. *We only accept articles that are written in English at this moment. *Articles must be written by you and totally original! We will be checking ALL submissions for breach of copyright. *We reserve the right to format the submitted article to match the rest of the Unique people blog posts. This tends to be only correcting spelling & grammar and adding any additional images needed to make the article more visually appealing, though it depends on the individual post.